Kay Hull AM is a former Australian politician. She was a National Party member of the Australian House of Representatives from October 1998 to August 2010, representing the Division of Riverina, New South Wales. Kay was the first female NSW National to be elected to Federal Parliament and the first female Nationals Chief Whip. Kay served on a range of parliamentary committees including: the Economics, Finance and Public Administration Committee; Aboriginal and Torres Strait Islander Affairs Committee; and Legal and Constitutional Affairs Committee. As Chair of the House of Representatives Standing Committee on Family and Community Services, Kay’s report, Every Picture Tells a Story, created the initiative for substantial reforms to family law and the child support system. Kay was appointed by the Australian Government to represent Australia on the International Parliamentary Union/UNAIDS HIV committee based in Geneva from 2008 to 2012. 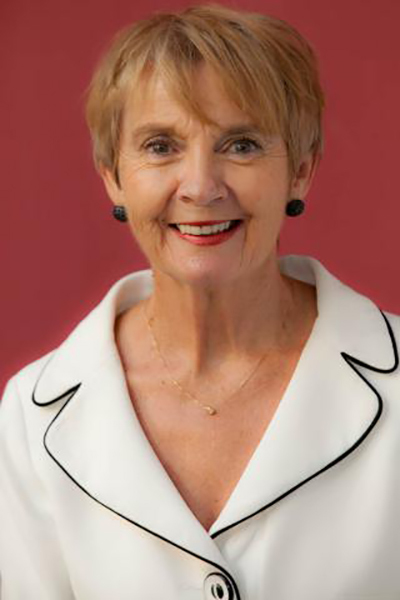 Before entering Federal Parliament, Kay served on the Wagga Wagga City Council from 1991 to 1998, including five years as Deputy Mayor, and was Chair of the Council of Tourist Associations in NSW from 1995 to 1998. She was also a member of the Board of Tourism NSW from 1995 to 1998, and received the Rod Murdoch Award for Contribution to Tourism in NSW in 1998. Kay has been a medium enterprise owner operator in the Motor Vehicles Trades and Services sector since 1978. She was awarded the Golden Crow Roll of Honour Award for contribution to the business community of Wagga Wagga in 2010, and received the Freedom of the City of Wagga Wagga in March 2011. She convened the Parliamentary Cancer Network from 1999 to 2010, and has been a Board member of NSW Can Assist, a not-for-profit organisation from 2010 to 2016 President 2012 to 2016. In October 2014, Kay was appointed as the Chair of The Australian National Advisory Council on Alcohol and Drugs by the Commonwealth Minister for Health. She was awarded an AM in the 2015 Queens birthday Honours for her contribution to the Parliament of Australia and her leadership in the Riverina. Kay was appointed the Chair of the Rural Industries Research and Development Corporation (AGRIFUTURES Australia) in September 2016.